The easiest way to use additional chords is to play more that one note in the scale, any combination will make a valid chord - some sounding better than others. 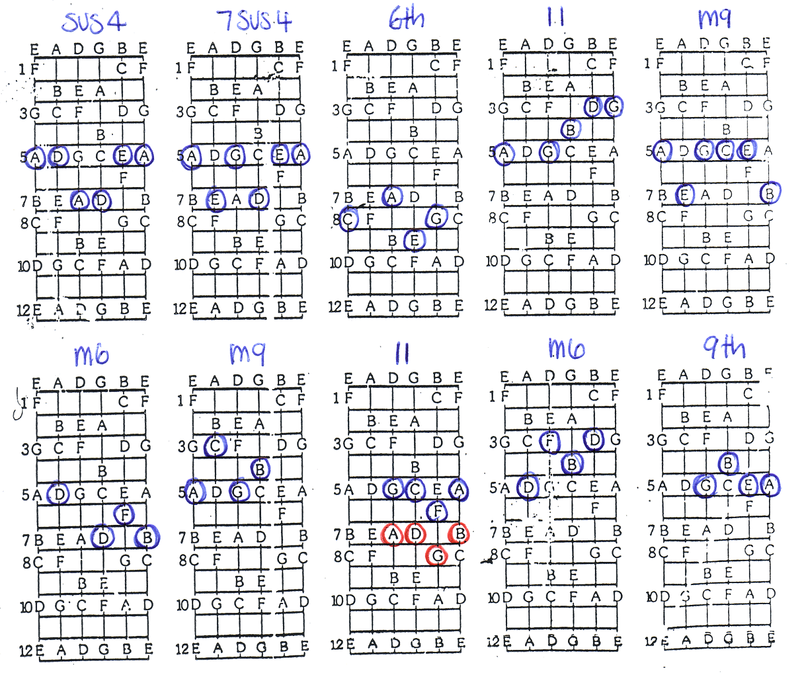 I have made a compilation of chords that fit in the scale for the positions of Am and G Mixolydian, so you can start using them in your art. Once these have been used or learned you will also be able to break out of the selected notes and go off. 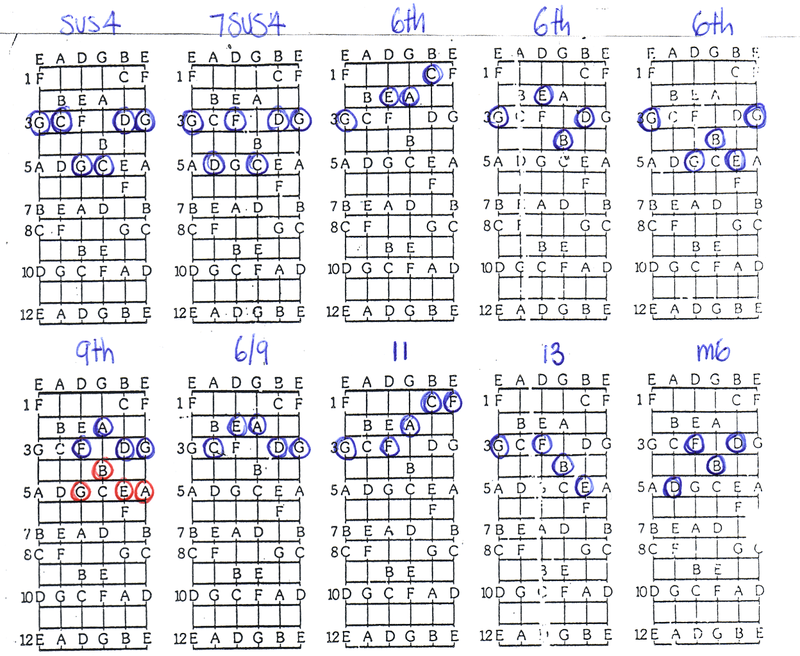 This is an easy way to realise that all notes have a place if used at the right time. Below are Root 6. Root 5 and Root 4 movable shapes. Learn the most useful first or the ones you like the sound of.